Social media engagement is about the relationship between you and your followers. “Engagement” covers everything from a like to a click to a response. Getting measurable, meaningful engagement isn’t easy. It requires considerable thought and effort. Obviously, you need an audience. If your brand has no followers, you have no one to engage with. But follower count only matters if those followers are potential customers. Obsessing about your follower count is more about vanity than business. In high school, many of us associated “popularity” with the number of friends we had, not with the value of those friendships. This way of thinking can be fatal when using social media as a marketing tool. The number of people following you doesn’t matter if none of them are genuinely interesting in your brand. The size of your audience on social media is meaningless if they are not engaged. To get real business value from social media, you need to stop obsessing about follower count. Instead, focus your time and attention on what truly matters – engagement. Let’s say your company has 5,000 followers on Twitter. You built your follower base organically. It took time. Now, you have a follower base that includes influencers, micro-influencers, clients, local businesses, friends, and colleagues. You post about an upcoming event where you will be a featured speaker. 50 people share your post. 15 people leave comments asking for more information. 10 of the commenters end up registering to attend the event. Congratulations! You had real social media engagement and got real results. Let’s say your company has 20,000 followers on Twitter. You purchased over half of them, because you wanted your brand to look popular. So what happens when you make that post about your upcoming event? In all likelihood, NOTHING happens. Nada. No one shares, or comments, or registers to attend. This is because you have no real connection with the majority of your followers. At best, they are disinterested. At worst, they are just bots. NEVER buy followers. It is a major social media faux pas! Mom was also on-target when she said, “quality is more important than quantity.” I hate to keep pushing mom-isms. But moms are often very wise! The quality of your followers and the quality of your content are paramount. 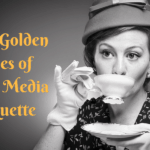 Social media engagement hinges on creating and curating high quality content. In general, it is better to share a high-quality post once a day than 5 meaningless posts every day. That said, you do need to be aware of the “personality” of each social media site and post accordingly. On LinkedIn, posting two or three high quality pieces of content each week is fine. In fact, you don’t want to post too often. It can be a turn off for the business crowd that favour LinkedIn. But on Twitter, there is an endless demand for more posts. It’s not uncommon for Twitter masters to post every hour! Don’t panic! You can meet the higher content demands by sharing both original content and curated content. The keyword is “quality”. Whether it’s original or curated, every post must be chosen carefully and strategically. NEVER post curated content without reading it first! The goal is to enhance your brand and make followers care about you. At the end of the day, that is the only way to succeed at social media. That is the end game. “Engagement” encompasses all sorts of measurable actions. These include clicks, likes, shares, comments, replies, etc. To be effective, you need to understand the type of engagement you are going after, and why. In general, engagement can be sorted into 4 categories: acknowledgement, association, amplification, and action. All forms of engagement are good -and show that you are doing something right. But not all forms of engagement are created equal. Focus most on the type of engagement that best aligns with your digital marketing objectives. If your objectives change over time (which is likely), adjust your social media strategy. These adjustments may shift your focus to a different type of engagement. That’s fine. What type of engagement do I want? What content will drive that type of engagement? How will I measure success (ROI)? Acknowledgement engagement is when someone “likes” your content. Like most things that require little effort, just being “liked” has minimal value. This type of engagement does little to promote a public connection to the content or to your brand. That said, the value of a “like” should not be diminished. You cannot succeed at social media if no one likes your posts! Acknowledgement engagement tells you that people are looking at your content. And they are making a positive connection with what you are putting out there, at least for a moment. Association engagement is when someone interacts with your content. It includes things like replies, comments, mentions, and follows. This is a big step up from simple acknowledgement. Association requires a greater level of effort and more commitment on the part of the follower. It serves as proof that you are posting quality content. Something you posted inspired people to do more than just “like” you. It excited them enough to make them “talk” to you and/or become a follower. Association engagement represents a real, authentic connection with your brand. To succeed at social media you need those connections. Amplification engagement is when someone spreads your content to their audience (e.g. retweets, shares, re-blogs). This is something you definitely want! Amplification exponentially increases the reach of your content. It exposes your brand to a larger audience. Best of all, that larger audience is already “warm”. They didn’t just find you through some random search! You were introduced by someone they already know – your follower. Amplification engagement has the power to create brand ambassadors – social media users who endorse you when they share your content with their followers. This is a great compliment and has tremendous value! The more people who share your content, the faster you will succeed at social media marketing. Action engagement is when someone clicks through to your website. This is the ultimate goal! When your content spurs people to action and moves them beyond social media, you have a real opportunity to inspire them to do something of higher value to your brand. How do I get them to take that action? What Type of Social Media Engagement Should I Measure? Your social media strategy should include ways to identify what is working best. That means coming up with ways to measure each type of engagement. Depending on your objectives, you may focus more attention on one type of engagement over another, but they are all important. For example, if your strategy focuses on increasing brand recognition, amplification engagement is very valuable to you. If one of your primary objectives is to grow your email list, action engagement is paramount. This is what gets people to your website. (Hopefully, you have kickass Calls-to-Action on your site). Pay attention to the kind of content that is driving each type of engagement. This is important. Ultimately, you want to create and curate quality content that aligns with your social media strategy objectives. It is better to have a small audience of real, relevant people than a giant audience of disinterested followers and bots. You want to develop a community of people who are both interesting to you, and interested in you. To do this, you need to stop obsessing about your follower count. Engagement is everything! 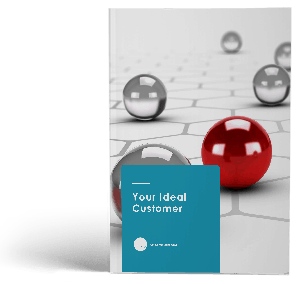 Do you know who your ideal client is? Because you are far more likely to create engaging content when you really know who you are trying to engage.